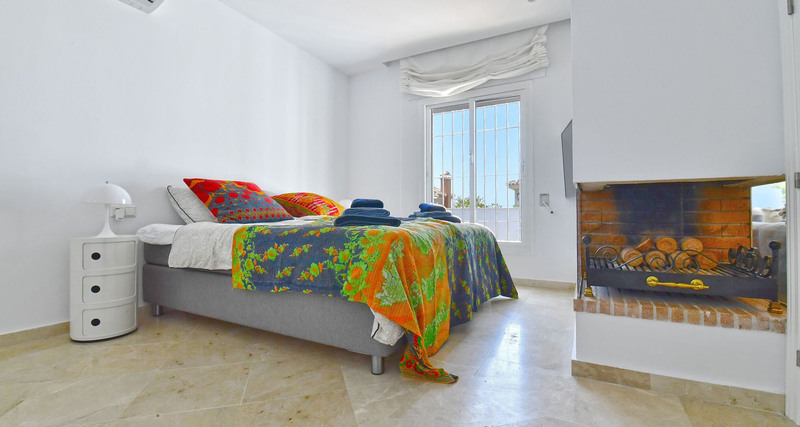 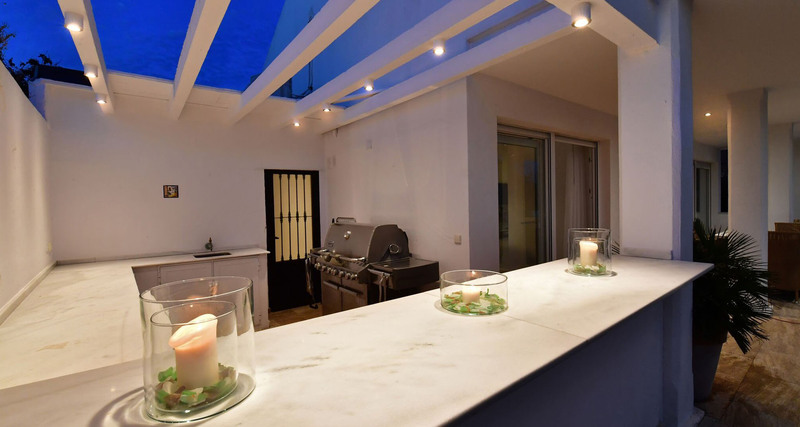 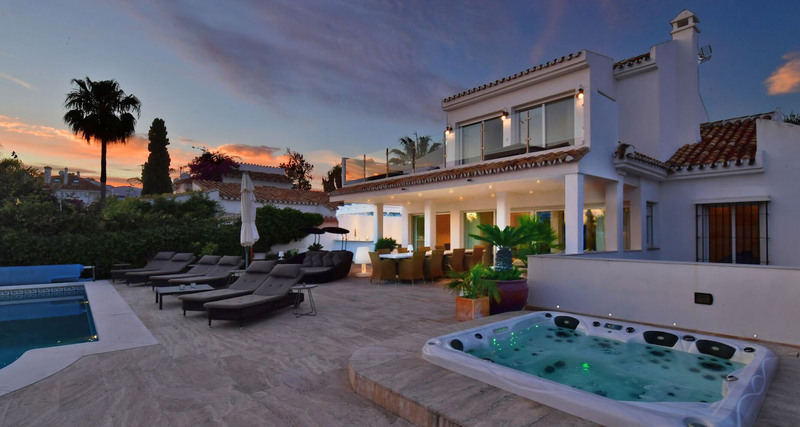 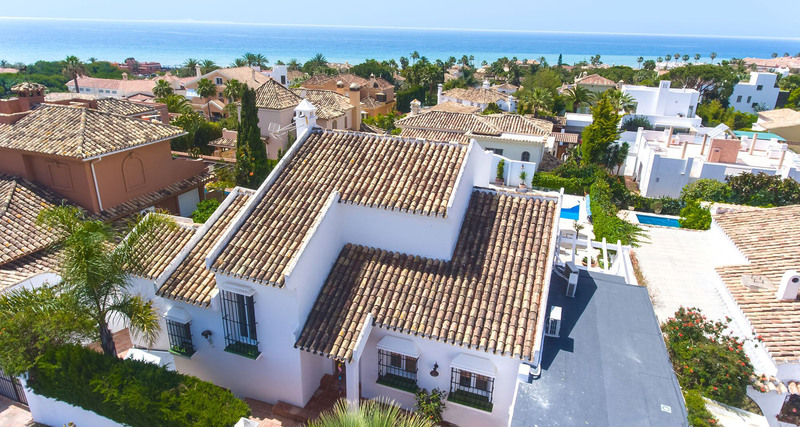 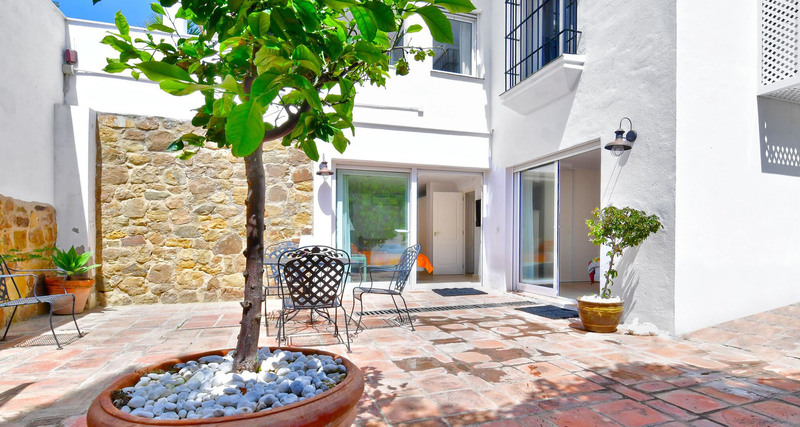 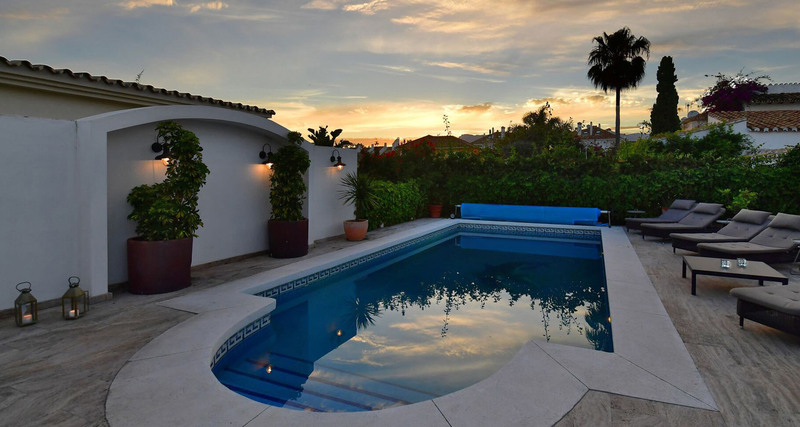 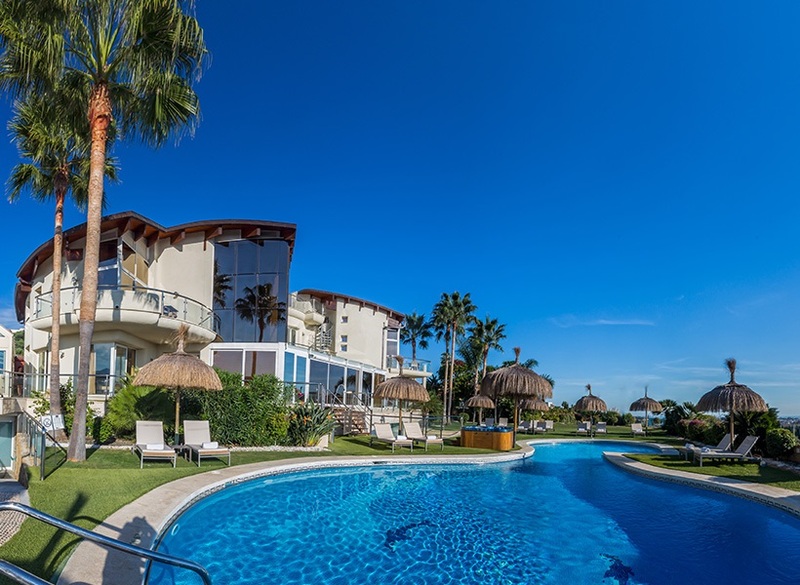 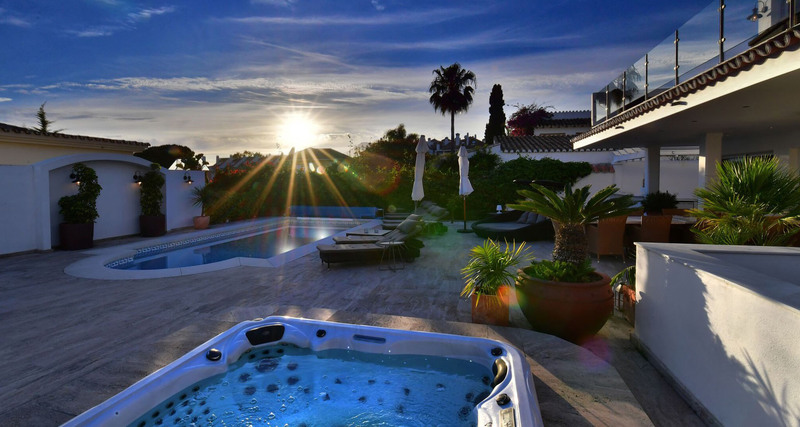 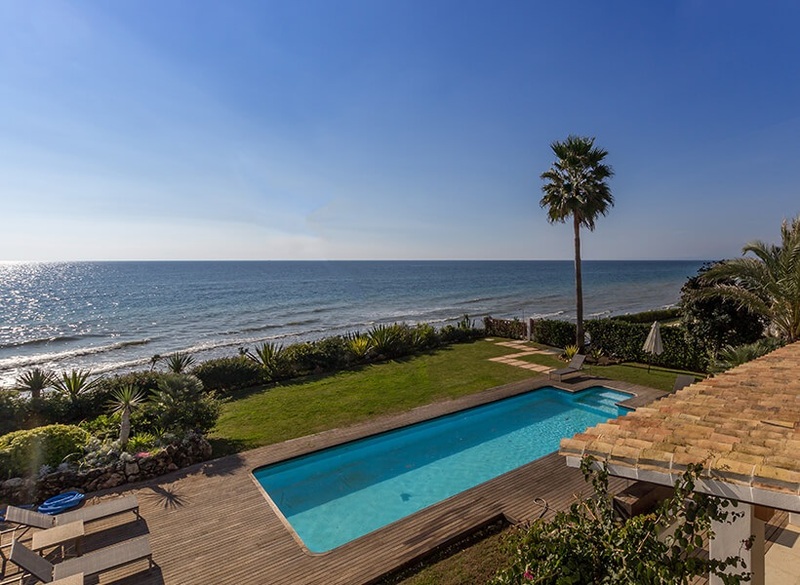 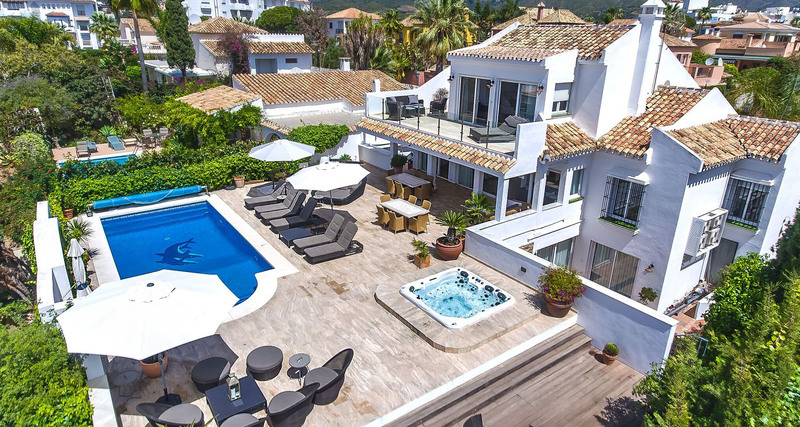 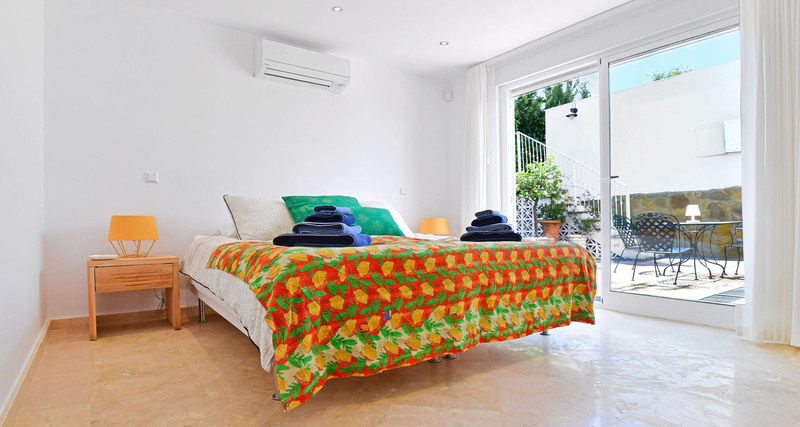 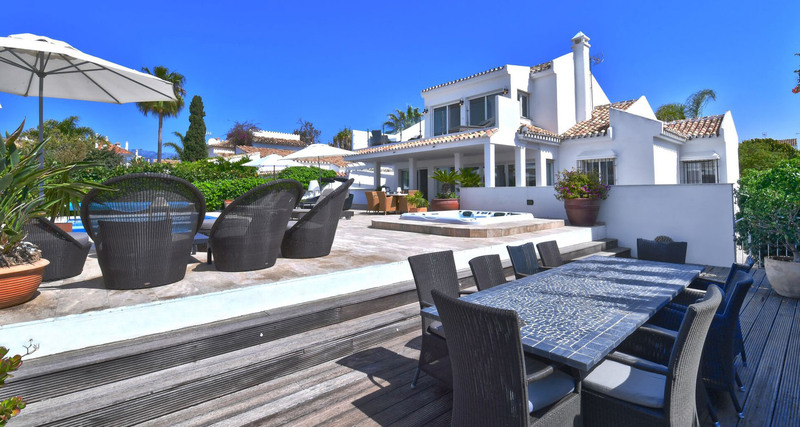 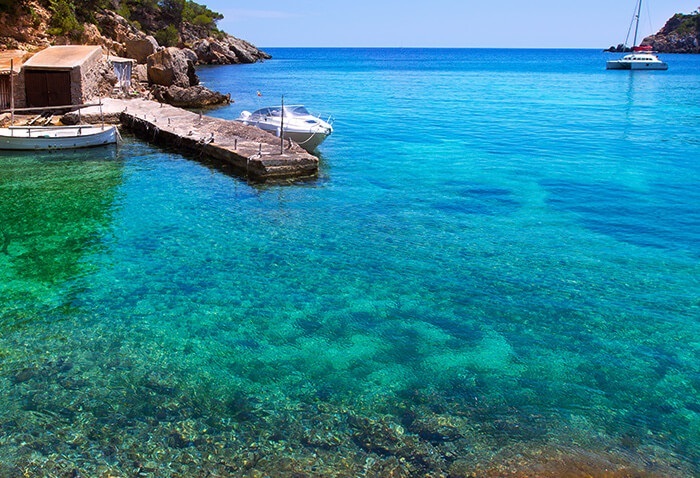 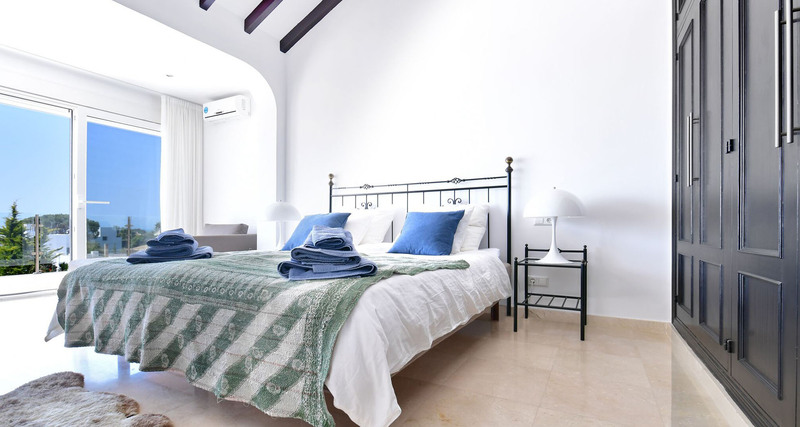 This beautiful, newly-refurbished villa is situated within a 5 minute walk of one of the Costa Del Sol’s finest beaches, and provides a very high level of accommodation for up to 14 people. 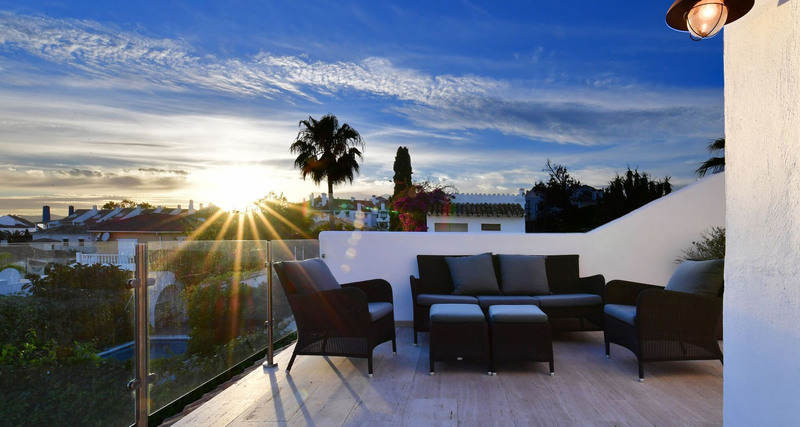 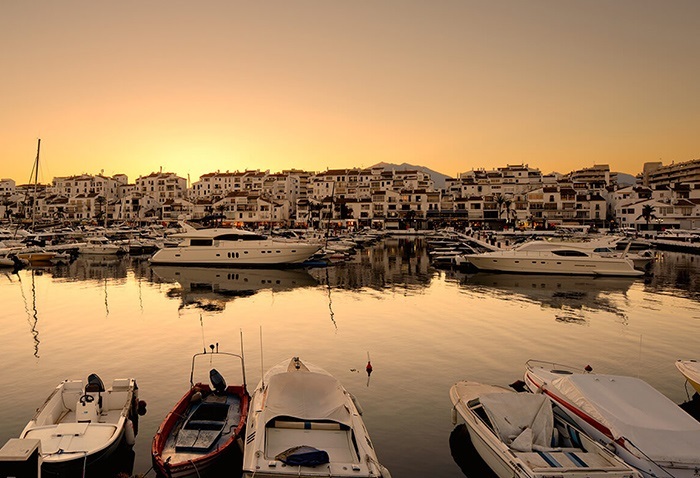 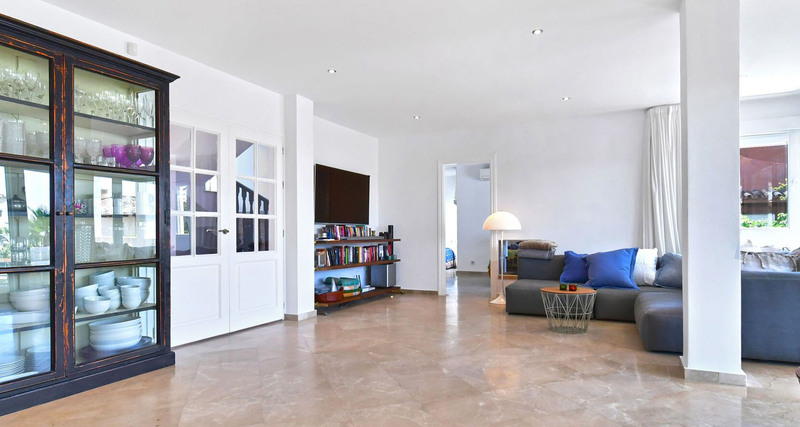 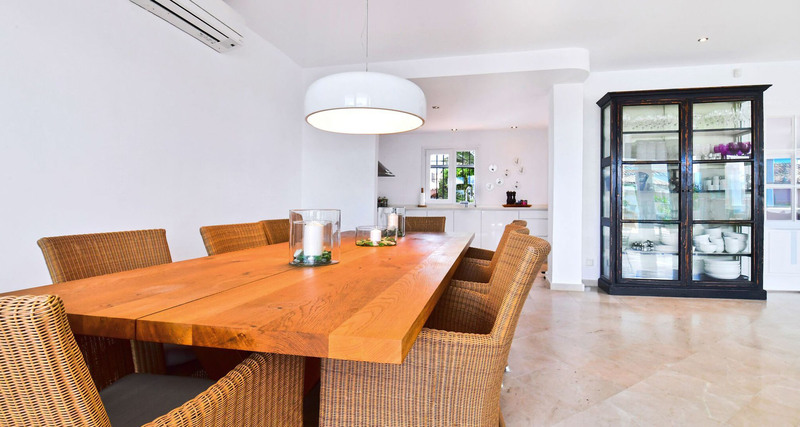 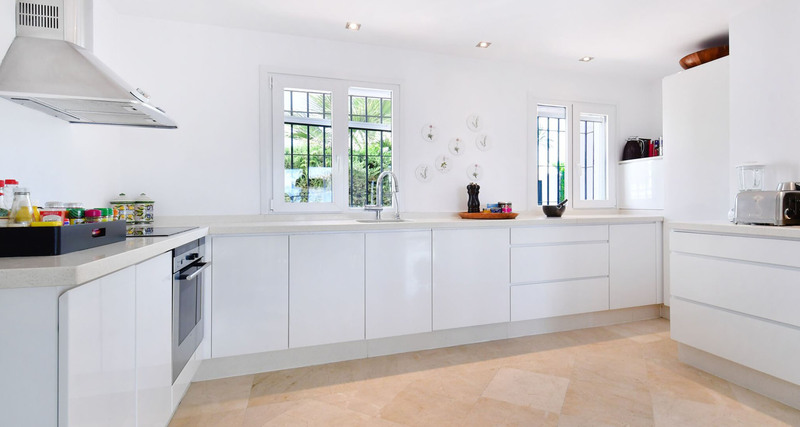 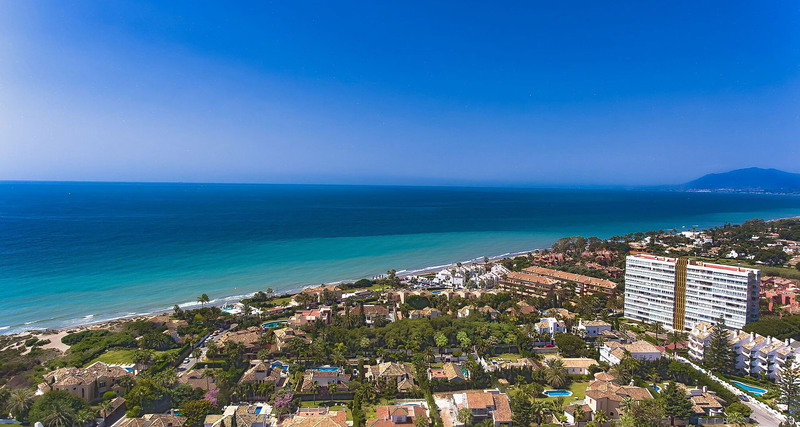 Located in El Rosario, one of the most attractive areas in Marbella, and within walking distance of all the local amenities, this is the perfect spot from which to explore the fantastic surrounding areas. 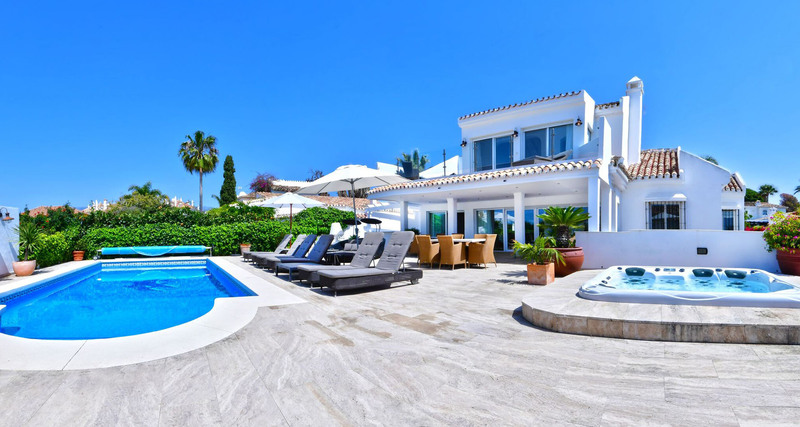 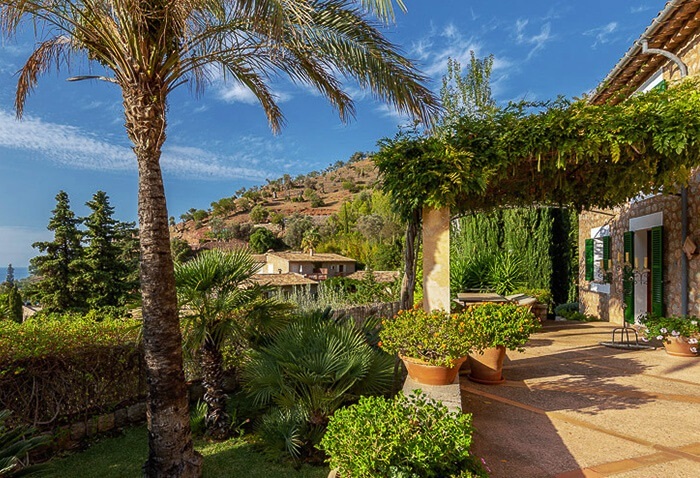 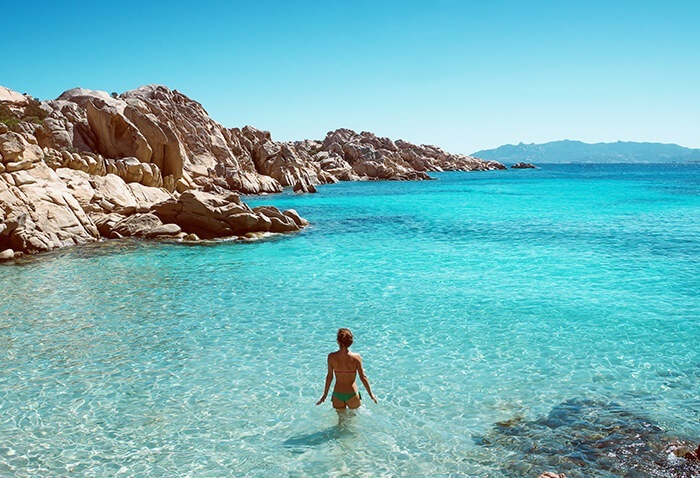 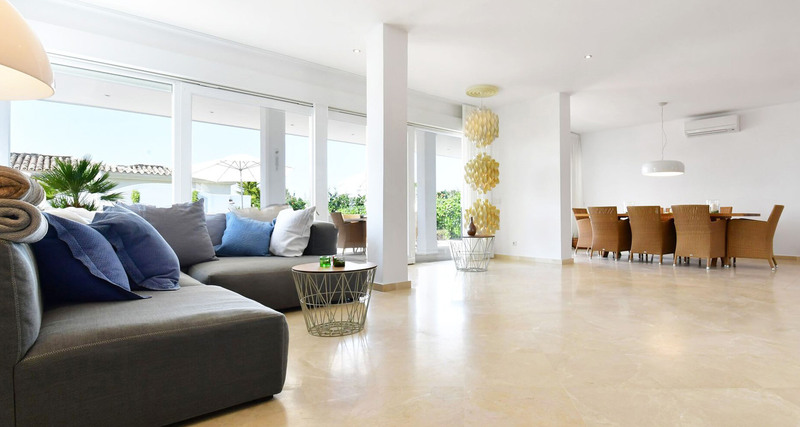 With beautifully decorated living areas, 6 spacious bedrooms, outdoor Jacuzzi and a welcoming private swimming pool, this luxury villa is a genuine peaceful holiday oasis. 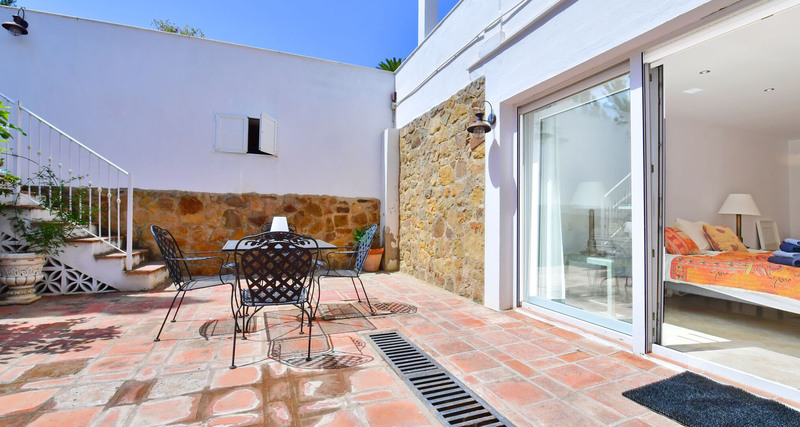 Ground Floor: Bright and beautifully decorated living area with comfortable sofas, dining table and large sliding doors leading out to the terrace – Fully equipped kitchen and scullery with double fridge-freezers and all mod-cons – Two double bedrooms with en-suite bathrooms and lovely shared patio area. 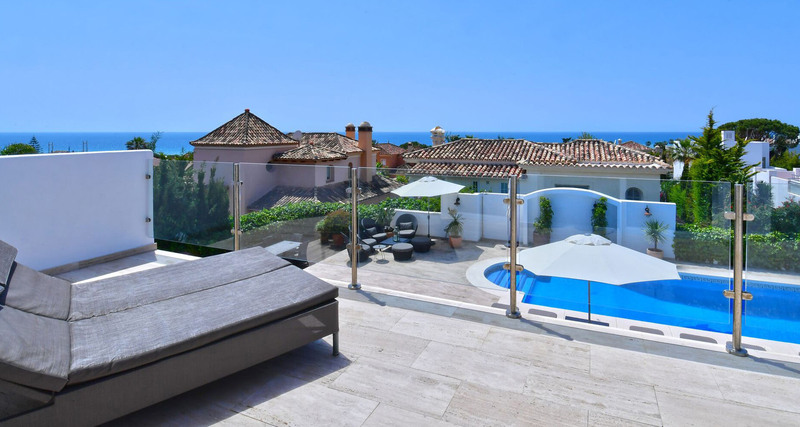 First Floor: Spacious master bedroom with en-suite bathroom and large private terrace offering stunning views over the Mediterranean Sea. 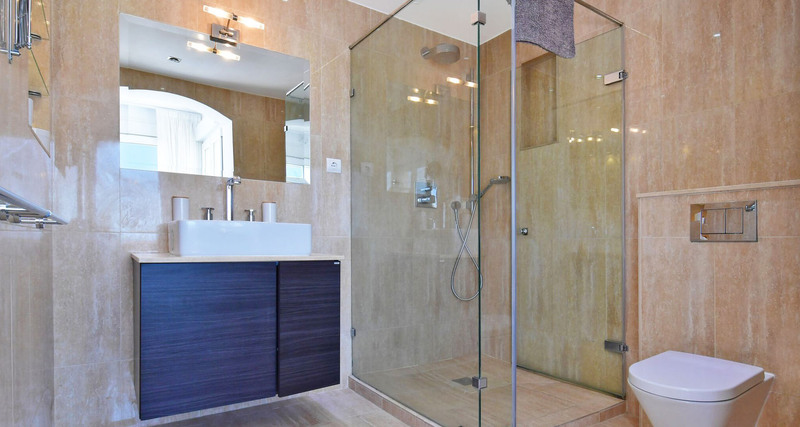 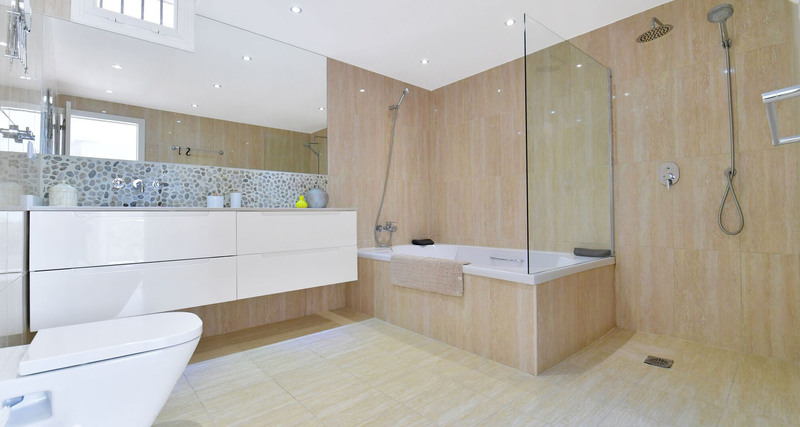 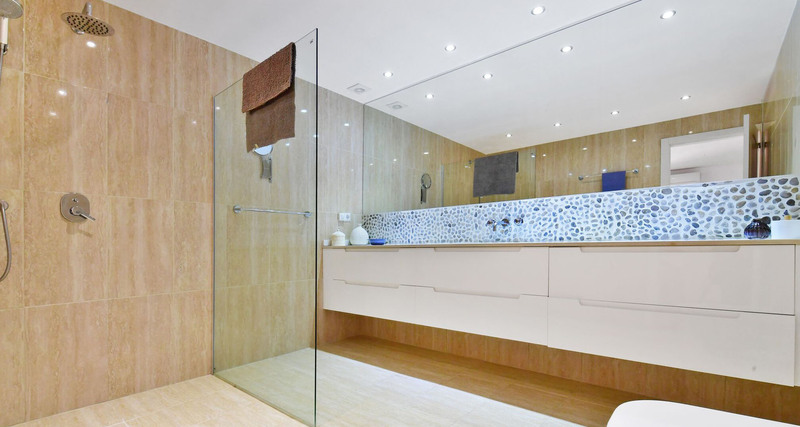 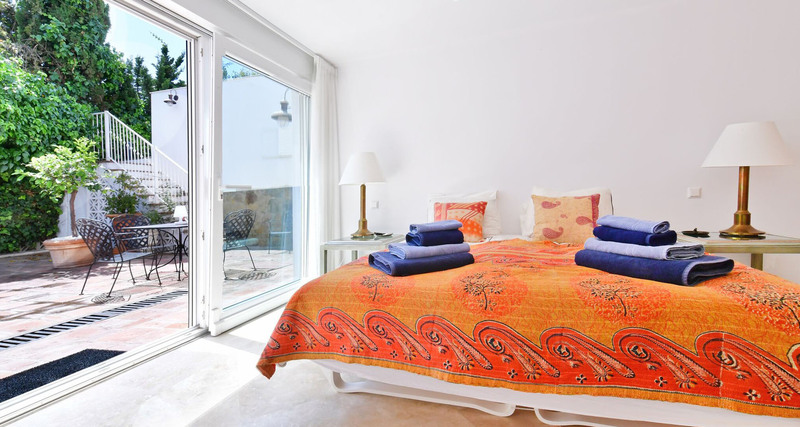 Lower Ground Floor: Three additional double bedrooms with en-suite bathrooms. 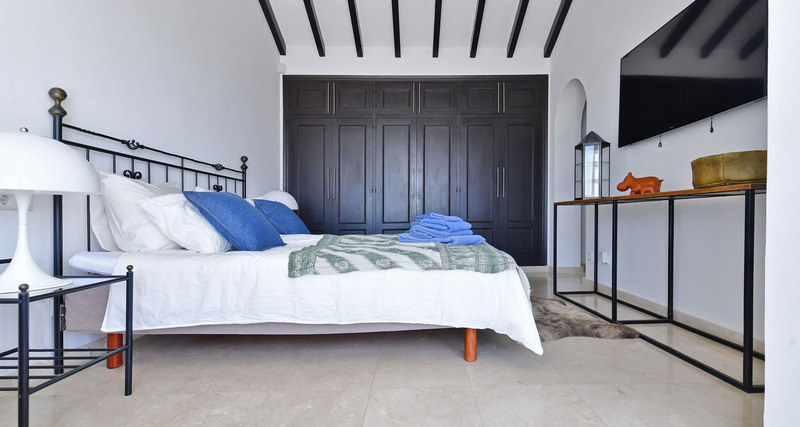 This private villa sleeps 12 guests as standard but there is the possibility for adding 2 extra beds in one of the bedrooms. 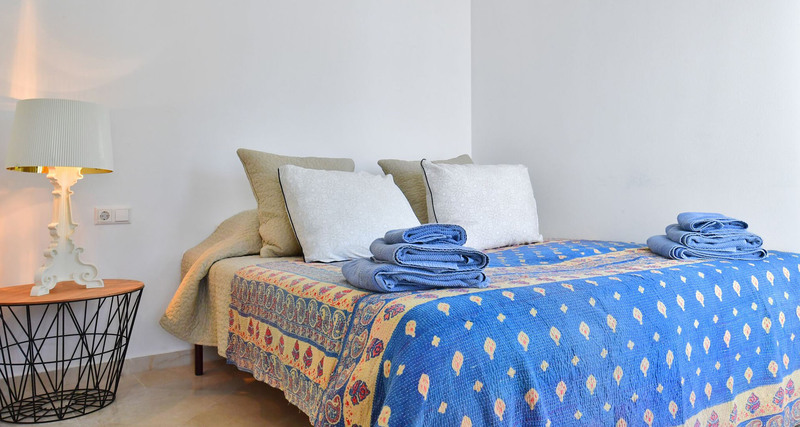 Additional charges per extra bed per week apply. 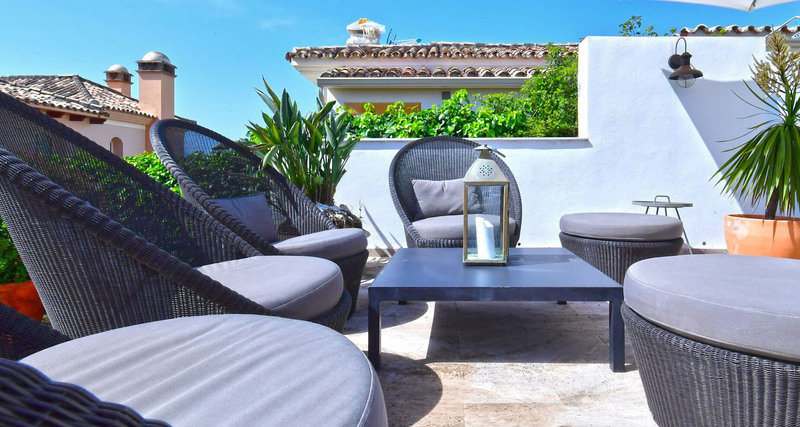 Exterior: Fantastic partly-covered terrace area with comfortable lounge seating and large dining table – Beautiful private swimming pool and outdoor Jacuzzi – Outdoor entertaining area with further dining table and barbecue – Fully gated with private closed parking.